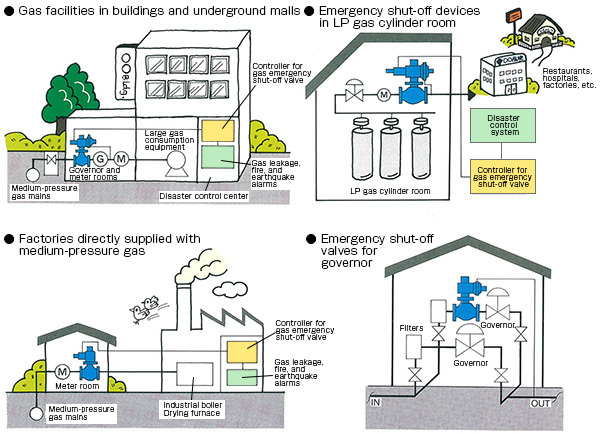 Electrical portion of shut-off valve has an explosion-proof structure and is compatible with almost all disaster prevention systems. Battery with built-in controller can back up the operation in case of power outage. 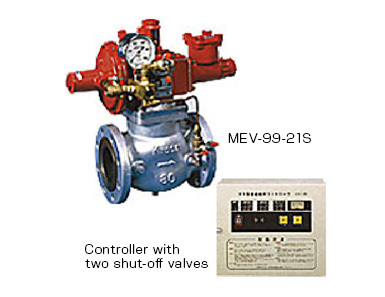 Optional specification of one controller with two shut-off valves is available. 32 combination systems are available.